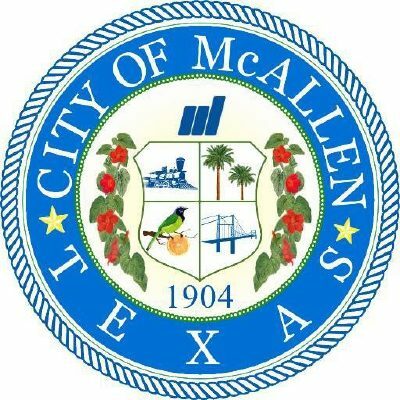 McALLEN — After three years of city employees receiving no pay increase, a one-time pay bump was recommended Tuesday and it is now up to the city commission. During the first budget workshop Tuesday for Fiscal Year 2017-18, City Manager Roel “Roy” Rodriguez recommended commissioners give all city employees a one-time pay disbursement, which is essentially a one-time bonus, but Rodriguez said city governments are not allowed to give bonuses. Full-time employees would receive a one-time $450 payment while part-time employees would receive a one-time $225 payment. Police officers would receive, on top of either the $450 or $225, an additional 1/2 percent of their pay. Rodriguez said the one-time payments are not necessarily for the employees higher up in the city, but for those in the middle to lower part of the organization. As proposed, this program would cost the city $728,087. District 1 Commissioner Richard Cortez, District 2 Commissioner Joaquin “J.J.” Zamora and District 3 Commissioner Omar Quintanilla raised some questions. District 5 Commissioner John Ingram emphasized how city employees have not received a raise in three years. “I haven’t had one in seven,” Zamora said, laughing. After the workshop ended, Zamora clarified that he called his boss and he has received a raise in the last three or four years. Zamora also assured that he fully supports the pay bump program Rodriguez has recommended. After Zamora raised the question with Rodriguez, Ingram defended the city manager and said he is completely in favor of this one-time payment for city employees. Cortez said he was challenging Rodriguez, and was pleased with Rodriguez’s answer. Cortez confirmed his support for the program. District 4 Commissioner Aida Ramirez and District 6 Commissioner Veronica Whitacre were absent from Tuesday’s budget workshop. The commission will ultimately vote on this program during a future city commission meeting.